Who are we? . . . a company owned by two sisters, whose goal is to bring you natural, good-for-you products that offer quality at modest prices. Just Heavenly! 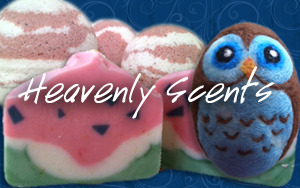 is comprised of two entities: "Heavenly Scents" (bath & body), and "Heavenly Hues" (cosmetics). Be sure to check out our “Upcoming Events” page. We love to be able to visit with our customers!